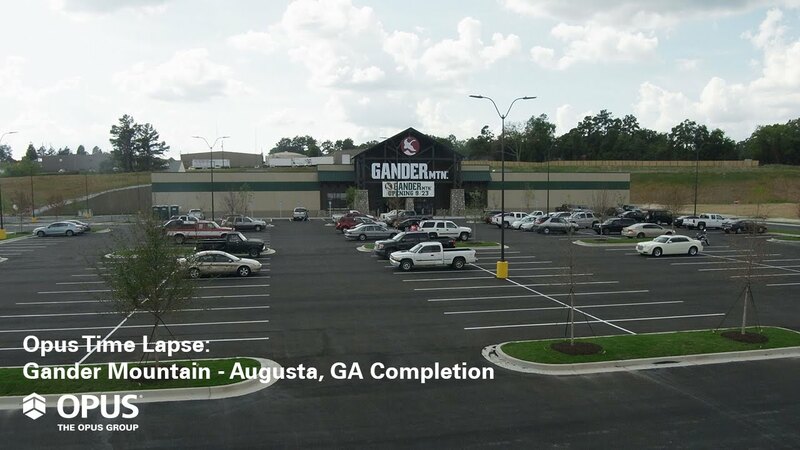 ​This fall, Opus completed Gander Mountain’s new store in Augusta, Georgia after beginning construction on the retail building in May. The 52,000-square-foot development features Gander’s familiar exterior design with timber and stone features. Inside, the store layout follows Gander Mountain’s new prototype concept that features a smaller store organized in a circular path. With open sight lines and outdoor lifestyle graphics the layout allows customers to quickly and easily locate products and provides space for large outdoor goods and equipment on the floor.